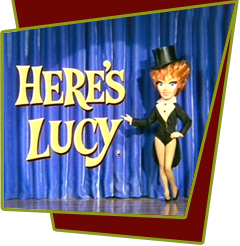 Lucy and her family decide to take a vacation in Palm Springs and end up renting rooms at Jack Benny's desert mansion! While the price is right, money hungry Benny charges them for every possible extra convenience. He loads charge after charge to up the bill. Jackie Gleason makes a cameo appearance during the finale of the show, eating the lunch that the Carters prepared. Special Notes: Jackie Gleason in his Ralph Kramden personage is perhaps the single best cameo in sitcom history, running neck and neck with Suzanne Pleshette's appearance on the surprise series finale of Newhart in 1990. It is so unexpected, that when Gleason makes his entrance, he steals the entire scene.